What if Earthlings made first contact, but they weren’t humans? Panel 2: Captain Snowball reacts with a look of nervous curiosity and worry. 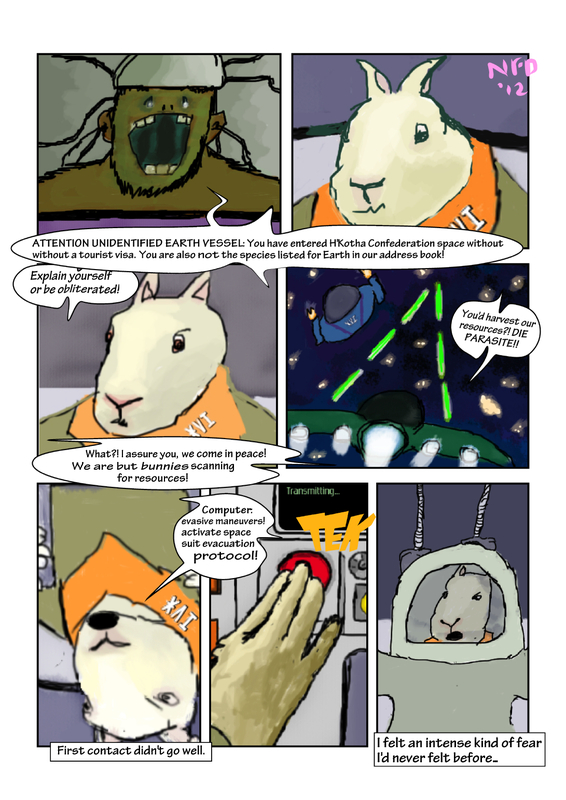 Panel 6: Snowball’s furry hand hits the confirm button, the final step for evacuation. The button clicks with a satisfying “TEK” sound. “Your lack of paperwork is an act of aggression!” too funny! Honored that you’re reading, Rick! more satire to come!